Paxon's Blues In A Minor, "Ciaran", is WD on Sat. & Sun. at Oakland Co. KC On Jan. 19 & 20! Congratulations to his owners C. & V. Flowers & thank you to his handler Terry Worful. We have new puppies that arrived on Jan. 7th!!! Paxon's Lord of the Dance, "Derek", is awarded WD at the New Brunswick KC (2) & the following day at Bronx Co. KC he is awarded WD, BW. Also at the Bronx Co. KC "Derek's" daughter, Paxon's Reagan-Lass, "Reagan", is awarded WB,BOS!!!! Our puppies are all nicely settled into their new homes!! At the Troy KC "Derek" is awarded WD,BW for a major!!!! "Derek" wins major # 2 at South Windsor KC by going Best of Breed. (over Specials). His daughter "Reagan" is awarded WB, BOS at South Windsor KC for a major!!!! At the St Hubert KC (2) Paxon's The Truth Be Told, "Gwen", wins a major from the 6-9 puppy class!!!! The next day at the Windham KC "Gwen" repeats the win for a 2nd major!!!!! "Derek", is awarded his 3rd major at the Windham KC & needs just 1 single point to complete his Championship!!! "Derek" completes his championship at the Long Island KC. "Derek" is now known as CH. Paxon's Lord Of The Dance !!!!! Paxon's The Truth Be Told, "Gwen", wins Sweepstakes at Ladies KAA & goes on to win Best Puppy & Reserve WB, from the 6-9 month class!!!! "Gwen" is awarded WB,BOB at the Staten Island KC!!! "Reagan" is awarded WB,BOS at the Plainfield KC!!!! 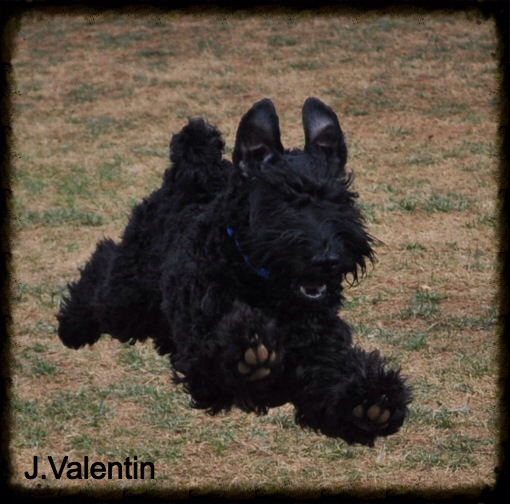 At Empire Kerry Blue Terrier Club's supported entry held with the Greenwich KC, "Meryl", Paxon's The Devil Wears Prada, is awarded WB, BOS & Best Puppy from the 9-12 puppy class for a Major!!!! Paxon's The Truth Be Told, "Gwen" Is WB, BOS at the Sussex Hill KC ! Ox Ridge KC, & NW CT Dog Club!! "Meryl" is also WB at Empire KBTC's Supported Entry bring her total to 13 points, 4 majors....and she is just 13 months old!!!! At the Empire KBTC Specialty Paxon's Turning Heads at Kastlekove, "Jesse" is awarded Best In Sweepstakes & went on to RWD!!! "Jesse" is owned by Michelle Grant & JoAnn Reppert . "Jesse" & "Meryl" are littermates!!!. Paxon's Dirty Little Secret, "Penny", is Best of Opposite in Sweepstakes!! New Ch. Paxon's The Devil Wears Prada, "Meryl" finishes with a Best of Breed at Palisades KC !!!! Paxon's Secret Agent, "Sean" is awarded WD, BW at Palisades KC (1) & Best Puppy at Palisades KC (2)!!! "Sean" is awarded WD, BW & Best of Breed & Best Puppy at Gloucester KC at just 8 1/2 months old!!! Paxon's The Truth Be Told, "Gwen", Is awarded WB, BOS at Gloucester KC & is WB, BW at Queensboro KC! !